For MBA aspirants, Current Affairs are one of the most key components for MBA preparation. In exams such as XAT, IIFT and SNAP, an entire section is dedicated to it in order to test your Current Affairs and General Knowledge. Furthermore, Current Affairs become an interesting topic of discussion in almost all GD-PIs, WATs/AWTs. 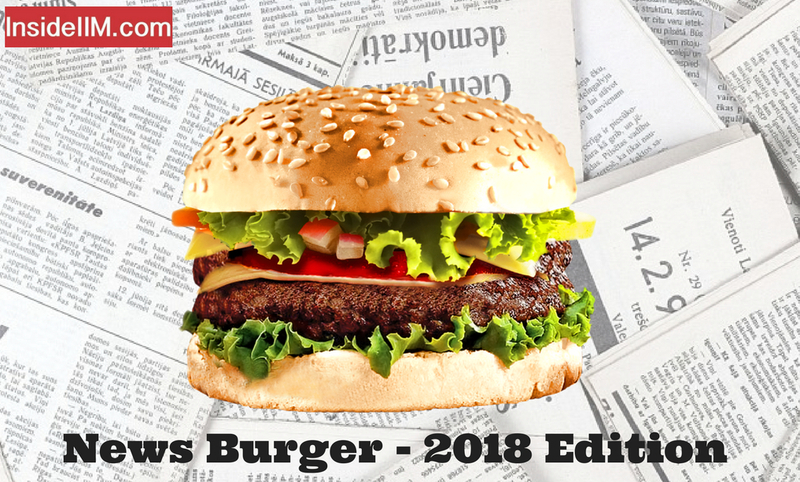 Therefore, we have come up with the Weekly News Burger, a curation of weekly Current Affairs which will help aspirants avoid scrambling for Current Affairs content at the end of the year when it is most important for competitive exams. World’s tallest hotel, Gevora, opens in Dubai. The hotel is 356 meters high (1,168 feet). Dubai also boasts of having the world’s tallest building, The Burj Khalifa. Jacob Zuma resigns as South Africa President. The 75-year old politician was asked to resign by his party, ANC. Deputy President Cyril Ramaphosa was declared as the new President of South Africa. Read more about why Jacob Zuma was asked to resign in the news article mentioned in the later stage of this article. India is among top 5 defence spenders in the world. We overtook the UK to break through into the 5 top defence spenders. The United States is at the top, while China comes second. Also to be observed is that India has very recently spent Rs. 16,000 crore on 7 Lakh assault rifles and 5000+ Sniper Rifles. One of the highlights of the news in the past week is the PNB Scam of Rs. 11,300 crores, involving diamantaire Nirav Modi and his associates. a) A PNB Official filed an FIR against Nirav Modi and his associates of a scam involving Billions of Rupees, which took place at a Mumbai branch of PNB and involved two junior employees. The scam began in 2011.
c) Nirav Modi and his family had already fled to New York in early January 2018. In fact, they opened a new outlet there WHILE these investigations were on. He had changed his status from an Indian resident to that of “NRI” before he fled. d) Currently, Nirav Modi’s associates such as his CFO and 11 other employees are being brought in for questioning. In related news, Union Bank has also suffered a scam of $2 Million by International Cyber Criminals. Air Odisha launches its first flight. The airline has been launched under the UDAN scheme and was inaugurated by Gujarat Chief Minister Vijay Rupani. Justin Trudeau arrives in India. The Candian Prime Minister will be staying in India for a week. He interacted with students of IIM Ahmedabad and spoke about feminism and climate change amongst other things. The Swiss is 36 years old and earned the title after beating Robin Haase in the World Tennis Tournament quarter-finals in Rotterdam. The Wadhwani Institute of Artificial Intelligence will be established in Mumbai University’s Kalina Campus. TCS named as world’s best employer for the 3rd consecutive year. It was selected from a pool of 1300 companies, and fulfilled specific parameters for selection, created by Top Employer Institute. The Summit has been organised by The Energy and Resources Institute (TERI) in New Delhi and will see participation from 41 countries. The 3-day Summit is being organised to discuss and resolve the issue of climate change. In related news, Steve Nerem of CIRES has conducted research and revealed that the sea levels are rising by 3mm every year, which is a dangerous figure and threatens to flood coastal cities by the year 2100. The Supreme Court’s verdict has made farmers of Tamil Nadu tense, as the water from Karnataka is enough only to irrigate half of the land. a) It is a 200-year-old dispute between farmers of Karnataka and Tamil Nadu, as they both rely on the Cauvery to irrigate their lands. The river flows from Karnataka to the Bay of Bengal, with Kerala, Tamil Nadu and Pondicherry in its route. b) There have been multiple riots regarding this issue, the most recent being in 2016, where there was severe vandalism and 2 people were killed. This came after the SC ordered Bengaluru to release excess water for drought-stricken Tamil Nadu farmers. c) Riots happened in 1991 as well, when there were violent anti-Tamil riots in Karnataka. d) Multiple ideas have been shared to resolve this issue, but none of them have been practical enough to solve the issue permanently. A state of emergency has been declared in the country following the resignation of Prime Minister Hailemariam Desalegn. He is the country’s 41st Prime Minister. This is his second time as the PM of Nepal. Find out more about it in the link above. Cristiano Ronaldo the first player to score 100 goals in UCL for 1 club. Real Madrid’s Cristiano Ronaldo is the world’s first footballer to score 100+ goals for 1 club in the UEFA Champions League. FC Barcelona’s Lionel Messi just missed out on that honour, scoring 100 goals in a later match of the on-going competition. India’s first Online Radio Station “Radio Umang” launched. The Radio Station was launched on 13th February, which is celebrated as World Radio Day. The bank made an exit from the country as it was allegedly the bank of choice for the infamous Indian-origin Gupta Family. a)The family, which originated from UP, is accused of illegally gaining political influence in South Africa, including former President Jacob Zuma. Numerous ministers have come forward and claimed that the Guptas offered them money and influential positions in the South African government. Jacob Zuma was asked to resign by his party, the ANC. b) A British PR Firm has been accused of creating racist twitter pages promoting White Monopoly in business. This was allegedly done to divert attention from the corruption that involved former President Zuma and the Guptas. c) The Guptas consist of brothers Ajay, Atul and Rajesh. In related news, Cape Town, South Africa’s capital, is the world’s first city to officially run out of drinking water. Which news material did you find the most interesting? Post your views in the comments below! Stay tuned for more such information every week! MBA After Engineering – What To Expect When You Join A B-School?